Simply stunning! Beautiful little cottage with everything you need. Great location in which to explore Cornwall. Has a private parking space in front of the cottage and a fantastic local pub 'Kings Arms' and A Londis shop both with in a 2 minute stroll around the corner! Highly recommend the Roseland Inn pub about 10mins drive away. If you are reading this and thinking of going then stop thinking and just book it as you will love it!! My review on this lovely little cottage. I stayed in this lovely little cottage April 2017 for one week.The cost of the accommodation was the first thing that initially attracted me.I was very reasonable at 265 pounds.I found the cottage very easily and was delighted when I walked in.I would almost describe it as 'cute'.Fully beamed in the living room and the bedroom.Clean and neat.All amenities in the kitchen with a downdtaires loo for convenience.As I walked out into the garden it had a lovely decorative wall with lights and atrative slate and a small stream.Very well thought out small garden.Upstairs is lovely with another toilet and bathroom, very clean and tidy. The only downfall about my stay was the fact that I had no phone reception so could not receive texts and calls at all.The WiFi is good and strong though with all TV channels provided.The village itself is about ten mins drive to Truro and I would suggest u have a car gir your take outs etc. The cleaning staff are lovely and the booking was handed in a very professional manner. I would visit this cottage again for its charms but I would of loved a good phone reception. Excellent location as good access to coast and main road network. Very well equipped for such a small property. Only one negative point - A good reading light in the living room would have been good. A simple hideaway off the beaten track. Stayed out of season and got a great deal for 2 weeks whilst I was working in Truro. Would stay here again but feel two things should be made clearer though... It's a property for small people with small cars. 1: I'm 6'2" and am used to stooping to avoid banging my head on stairs in old cottages. Being unable to stand under a shower without banging my head was an unwelcome surprise. 2: A parking space is available but access to it is challenging unless you have a small car with good road clearance. Had the space been in use next door it would have been impossible to get access. This was a lovely little cottage that I stayed in on my own for a week in August. The Bolt Hole contains everything you might need for a week self catering and there was a bottle of wine waiting for me when I arrived. Tregony village has a shop/post office, a very friendly pub, a hairdressers and an art gallery, all within easy walking distance. The only negative might be that the low ceilings may be a problem especially in the shower. I'm only 5ft 5 so fitted in just fine but taller people could struggle a little. Very comfortable and clean throughout with lots of nice touches provided. Thoroughly recommend. A delightfully decorated and cosy cottage. - potential for mould around the bath with a lack of ventilation in that room. We really enjoyed our stay in this very comfortable, and well equipped cottage which was beautifully warm and cosy for a late winter break. It had everyting we required, was well located on the edge of the Roseland peninsula in an interesting village. It was great to have upstairs and downstairs lavatories and a dishwasher with enough crockery and cutlery not to have to waxh up after every meal. Our host made us very welcome and even the weather was kind: after weeks of rain we had crisp bright days, perfect for walking around the coast and exploring the local delights. We wouuld be very happy to stay here again, perhaps in the summer when we could make full use of the garden and tiny courtyard outside. It is well named, as it is a bolthole - home from home. 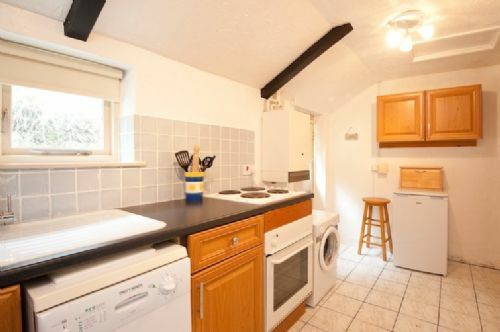 One comment - this cottage would be quite challenging for particularly tall people due to the low ceiliings and some small spaces, but for us it was perfect. The Bolt Hole and Tregony themselves are enough to send me straight back to Cornwall! The beautiful little cottage was immaculately clean and excellently appointed - warm and comfortable with everything we needed for our stay. It was situated in the stunning location of Tregony, a wonderfully beautiful village conveniently placed between Truro and St. Autell and within an easy drive of all the exciting coastal locations of Cornwall. Although buried deep in the tranquil countryside, Tregony and the Bolt Hole are only a few minutes drive from the main A30 and the A390 so getting about was extremely easy. The booking process couldn't have been easier and the arrival instructions were excellent. Out thanks to the housekeeper, Angela, who came out immediately to help us when the gas ran out. I can't recommend the cottage and Cornwall Cottages Ltd highly enough - thank you for a wonderful stay. We'll definitely be back. Great holiday exploring Roseland peninsula. Lovely accommodation. Great walks. Go to St Anthony Head you won't be disappointed. We had a wonderful time. Cottage was very clean, warm, comfortable and well appointed. A super location for exploring the SW Coastpath between Falmouth and Fowey. Pleasant nearby pub with excellent food and handy local shop. Good value and highly recommended. Only drawback was poor mobile phone cover - not just the cottage - the whole area! The bottle of wine on arrival was a very nice unexpected surprise.